Subtle texture adds character without sacrificing breathability or snag resistance, while PosiCharge technology preserves colors and logos. 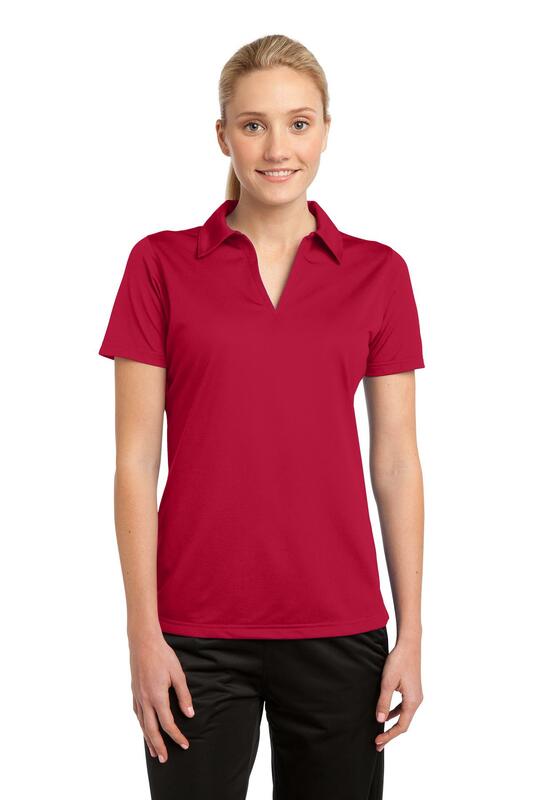 | 4-ounce, 100% polyester mesh with PosiCharge technology Tag-free label Open placket, self-fabric Johnny collar Set-in, open hem sleeves Side vents If applying sublimation, special care must be taken throughout the process. Contact your decorator for more details.